Northeast Shuttles, a non-scheduled chartered airline, is keen on introducing daily flights on the Kolkata-Cooch Behar sector. The airline operates flights between Guwahati, Sichar, Aizwal, Dimapur and Lilabari with an 18-seater Dornier aircraft and Aizwal, Imphal and Silchar with a nine-seater Cessna aircraft.Northeast Shuttles managing director Shoba K Mani has expressed interests in operating flights between Kolkata and Cooch Behar. If things move according to plan, operations can begin in 10 days,said Airports Authority of India regional executive director Gautam Mukherjee. The airline has evaluated a price band of Rs 4,000-4,500 for a flight to Kolkata from Cooch Behar.Cooch Behar was severed from the aviation map after Vayudoot ceased services in the early 1990s. Attempts to reconnect it began five years ago when Gopinath expressed interests in operating ATR flights. After a test flight, operations never took off as Kingfisher Airlines bought no-frills carrier Deccan Airlines.Cooch Behar, however, was not ready for ATR service as its runway length is 3,500 ft against the required 4,500 ft. Hopes were revived when Gopinath returned with non-scheduled airline Deccan Charters that operated smaller turboprop aircraft. When the carrier was to commence services last month after a six-month wait for Directorate General of Civil Aviation’s nod, the company that had leased the aircraft to Deccan Charters backed out, leaving the airline without a plane. 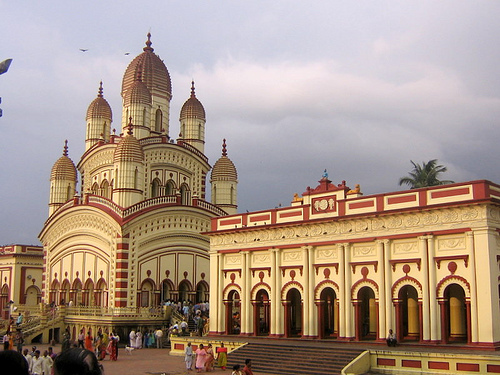 Chief minister Buddhadeb Bhattacharjee was keen to flag off the services before the announcement of polls.Since linking Cooch Behar with Kolkata was priority for the government, the transport department had agreed to subsidise the last nine seats on each flight. If Northeast Shuttles commences services, they are welcome, said a government official.Incidentally, Northeast Shuttles bargained for a subsidy on four seats. But it could not start services as the airport had not received the DGCA’s approval.Mukherjee said AAI had planned to build a culvert over Maran Torsha river bed to extend the runway. The proposal includes increasing the apron size to allow parking of two ATR aircraft at a time. The project cost is pegged around ` 12 crore.